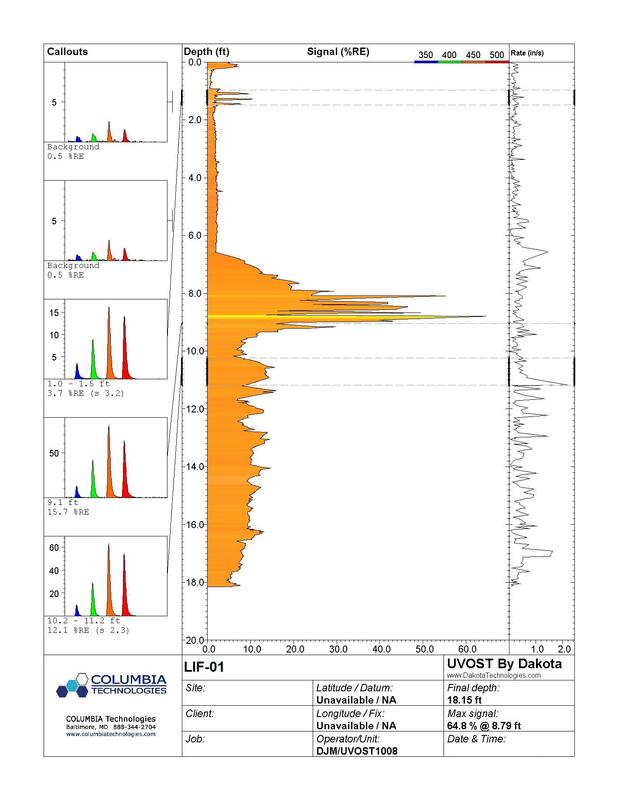 During a recent site characterization in Hawaii using LIF/UVOST® technology COLUMBIA Technologies encountered relatively low levels of petroleum contamination hidden in an usually high background response. This resulted due to the presence of naturally occurring fluorescence materials (likely calcareous sands) in the subsurface at the site. 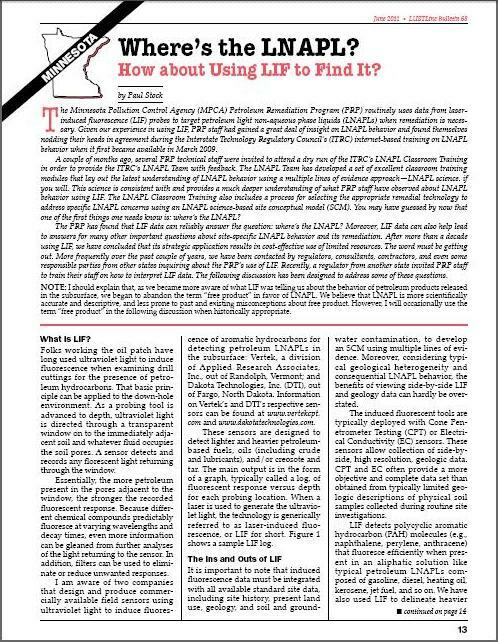 This elevated background fluctuated in response intensity from log to log and often within a single log, making it more difficult to accurately identify residual petroleum contamination responses in the subsurface. Dakota Technologies, the inventor and manufacturer of UVOST® instrumentation, was able to mathematically separate five different petroleum compound signatures from the background interference. This extended data processing enabled COLUMBIA to more accurately map the residual petroleum concentration in 3D. The subsequent data set correlated well to soil samples selected by the client providing multiple lines of evidence of the extent of the historical petroleum spill.